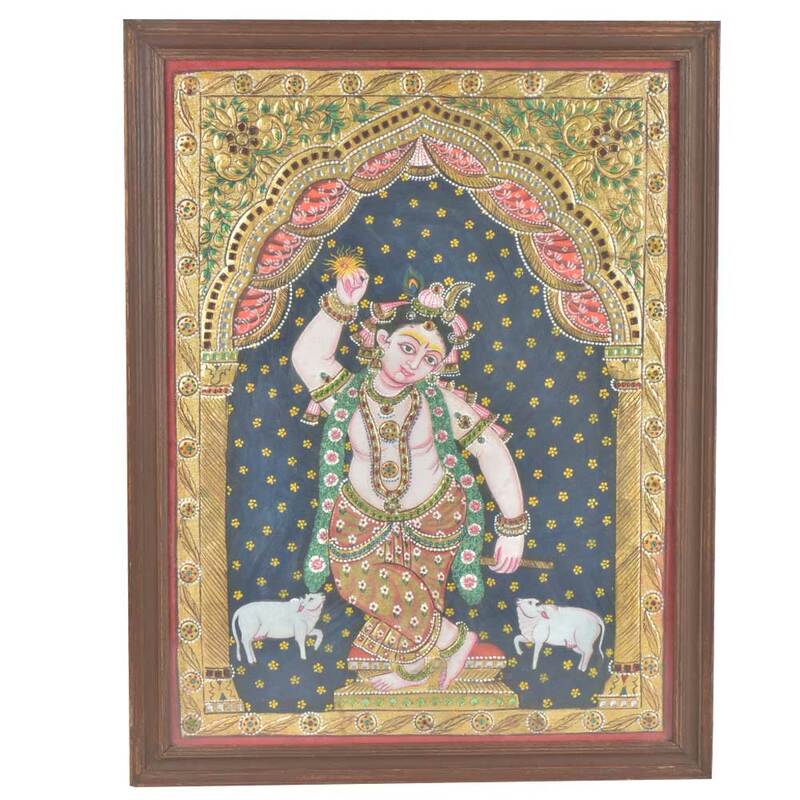 Tanjore painting is a royal & ancient art of South India. It is the southern pride in India. Most of these paintings were done in the temples of India. Every details in the painting is carefully done with gold foil & acrylic paints.